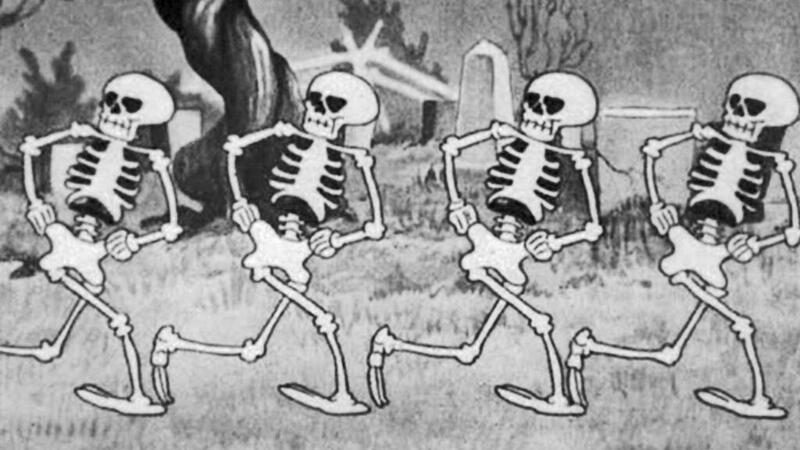 5 Songs to Get You in the Halloween Spirit…That Aren’t “Thriller”! Halloween is only 20 days away! I feel like it’s all zipping by too fast. As I grind away watching at least one horror film a day, I find myself wanting more time. More time for horror movies! More time for HALLOWEEN!! Okay, let me calm down just a tad. Seriously, though, as soon as October the 1st rolls around, I try to infuse my day with as much Halloween goodness as possible; whether it be scary flicks, spooky podcasts, haunted house excursions, pumpkin coffee/baking/life…I love it all. I also enjoy listening to some ghostly tunes to get me in the spirit of the season too. When it comes to Christmas music, you can find just about every possible variation of a Xmas carol to suit your personal taste: EDM “Jingle Bells”, punk rock “Rudolph”, or hip hop “Oh, Holy Night”. There are some great Halloween songs, but they’re not as easy to come by. Of course, we have the classics, Michael Jackson’s “Thriller” or the original Halloween Party anthem, “The Monster Mash”. But if you’re planning a Halloween bash, or just need to get into the Halloween spirit, you’re going to need more than just a couple of tracks to keep the party alive. Here are five alternatives to get your skeletal remains thumping to the beat. This is possibly my favorite Halloween themed track. It just captures the spirit and vibe of a night out seeking some ghoulish debauchery. While the video doesn’t drip with that Halloween atmosphere one would expect from the lyrics, there’s a sense that in some retirement home come October 31st this is exactly what you might see. Almost any video from Sharon Needles, drag’s very own Queen of Darkness, would fit on this list, but I’ve chosen the lead single from her 2nd album, Taxidermy. While the song is fairly disposable pop fluff, the video for “Dracula” is pretty fantastic. We’re given high fashion history rundown on famous pop culture bloodsuckers from Nosferatu, Count Chocula, and even some Kiefer Sutherland-Lost Boys realness. The title of the song really says it all. Also, this fan-made video is a cool super cut of classic horror movie moments. In the mood for some rockabilly love on Halloween night? Sprinkle some black rose petals across the floor and queue up this tune for that special undead-one in your life. You can thank me later. I – DON’T – HAVE – A – CLUE how something like this exists. What I do know is that it’s amazing. “Move your dead bones-bones-bones/You’ll dance for the rest of your life” – That’s just a sampling of the stunning lyrical prowess of Dr. Reanimator. So, this video was featured as a bonus on the Beyond Ranimator DVD. I have no clue if it was meant to be funny or…it had to be, right? Either way, prepare to laugh and have this stuck in your head for the rest of your life. That’s five horrific tunes for the season of the witch. What are some of your favorite deep cut Halloween tracks?